Located where the Germanic, Mediterranean, and Slavic worlds come together, Slovenia enjoys a happy hodgepodge of cultures while also presenting plenty of its own unique character. And much like the country as a whole, its capital city of Ljubljana is a delight to explore, yet remains relatively undiscovered. With a lazy Old Town clustered around a castle-topped hill, Ljubljana is often likened to Salzburg. 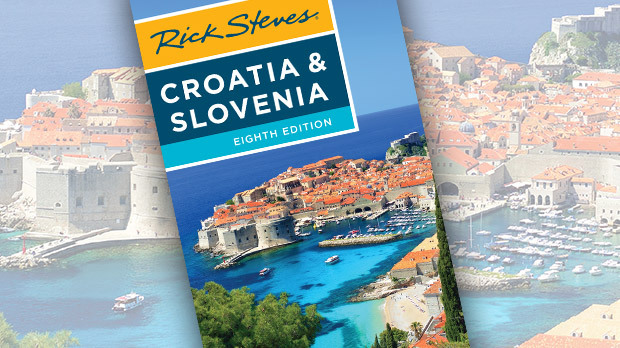 It's an apt comparison — but only if you inject a healthy dose of breezy Adriatic culture, add a Slavic accent, and replace favorite son Mozart with local architect Jože Plečnik. Walking through its cobbled Old Town in summer, you'll share the pedestrianized streets and riverside promenades with plenty of fellow stollers — but relatively few tourists. Batted around by history, Ljubljana has seen cultural influences from all sides — most notably Belgrade, Prague, Vienna, and Venice. In ancient times, Ljubljana was on the trade route connecting the Mediterranean (just 60 miles away) to the Black Sea. Legend has it that Jason and his Argonauts founded Ljubljana when they stopped here for the winter on their way home with the Golden Fleece. After being leveled by an earthquake in 1895, the city was rebuilt in the Art Nouveau and Art Deco styles that were so popular in Vienna, the empire's capital at the time. A generation later, architect Joze Plečnik remodeled the city in his distinctive classical-meets-modern style. Like Gaudí shaped Barcelona and Bernini shaped Rome, Plečnik made Ljubljana what it is today. Ljubljana feels small and low-key, and it is — but this is no sleepy backwater; the city is by far the country's largest city and its cultural capital. Ljubljana is on the cutting edge when it comes to architecture, public art, fashion, and trendy pubs. In its relaxed pedestrian center, it seems all roads lead to the main square. Fancy facades and whimsical bridges ornament daily life with a Slovenian twist. The Ljubljanica River, lined with cafés, restaurants, and a buzzing outdoor market, bisects the city. The riverfront market is a hive of activity, where big-city Slovenes buy directly from the farmer. Some farmers still use wooden carts to bring veggies in from their garden patches, then flip them over to use as a sales stand. The market provides a great opportunity to connect with the locals. It's worth an amble any time, but is best on Saturday mornings, when the townspeople take their time wandering the stalls. In this tiny capital of a tiny country, you may even see the president searching for the perfect melon. Spanning the river are several distinctive bridges designed by Plečnik, who walked to work each day and had to live with what he designed. The Triple Bridge — where the main square joins the river — is both a popular meeting place and a beloved symbol of the city. The bridge seems almost Venetian: a nod to the city's unique location — midway between Venice and Vienna, linking the Italian and Germanic worlds. The Cobblers' Bridge encapsulates Plečnik's style perhaps better than any other structure: simple, clean lines adorned with classical columns. For a more personal look at the architect, visitors can tour his home, decorated exactly as it was the day Plečnik died in 1957. The house is filled with furniture and bric-a-brac he designed, as well as souvenirs from around the world that inspired him. As you inspect his drawings, equipment, and personal items (including his glasses and the hat that he was famous for wearing), you'll feel as though Plečnik himself invited you over for dinner. The city offers a range of several other well-presented, we-try-harder museums celebrating Slovenian history and culture, including the Slovenian History Exhibition at the castle, the City Museum of Ljubljana, and the Contemporary History Museum in Tivoli Park. 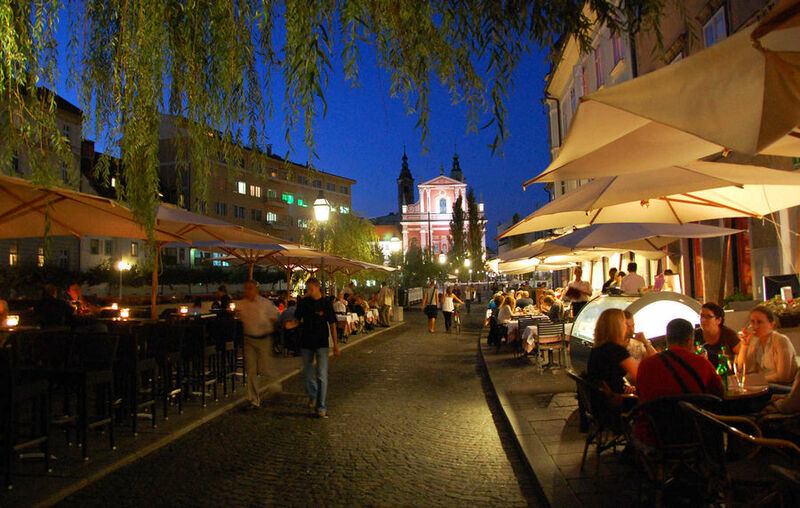 But Ljubljana's single best activity is sitting at an outdoor café along the river and watching the vivacious, fun-loving Slovenes strut their stuff. Or join them on a stroll to appreciate how this city is the kind of place where graffiti and crumbling buildings seem elegantly atmospheric instead of shoddy. Many of those buildings have gotten a facelift recently, as a spunky mayor has been spiffing up the place and creating gleaming traffic-free zones left and right — making what was already an exceptionally livable city into a pedestrian's paradise. Centuries of rule from Vienna under the German-speaking Habsburgs seems to have both inspired an appreciation of the good life and strengthened the local spirit. And the time it spent in the 20th century as part of Yugoslavia failed to dampen its upbeat vibe. Today the city is filled with university students — making it feel very youthful — and ensuring that most of the locals speak excellent English. And as Slovenia is small and laced with modern freeways, virtually every sight in the country is within an hour or two of its capital. With all it has going for it, it's hard to believe that Ljubljana continues to glide beneath most tourists' radar.